The Bright Local School District consists of one K-6 grade building (elementary) and one 7-12 building with two (2) schools: junior high and high school. We have an enrollment of approximately 707 students. Approximately 10.4% of our students are identified as having a disability and nearly 61.7% of our students are identified as economically disadvantaged. 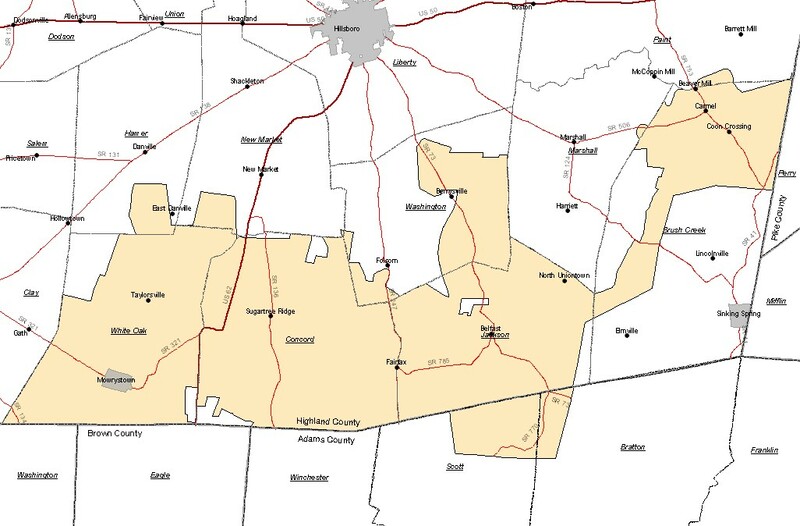 The district includes sections of Brush Creek, Concord, Hamer, Jackson, Marshall, New Market, Paint, Washington and Whiteoak Townships, Ohio. The schools are located in the villages of Mowrystown and Sugar Tree Ridge, Ohio. Whiteoak High School is accredited by the State of Ohio. Whiteoak High School offers college preparatory and general courses of study and is affiliated with the Southern Hills Career and Technical Center, which offers vocational programs and Tech Prep courses of study. The Whiteoak Jr./Sr. High School athletic teams compete in the Southern Hills Athletic Conference (SHAC). Bright Local students take great pride in academic and extracurricular accomplishments. The strong support of the PAWS (Parents at Work in Schools), Whiteoak Athletic Boosters, surrounding business community, and local government agencies all enhance the lives of our students.